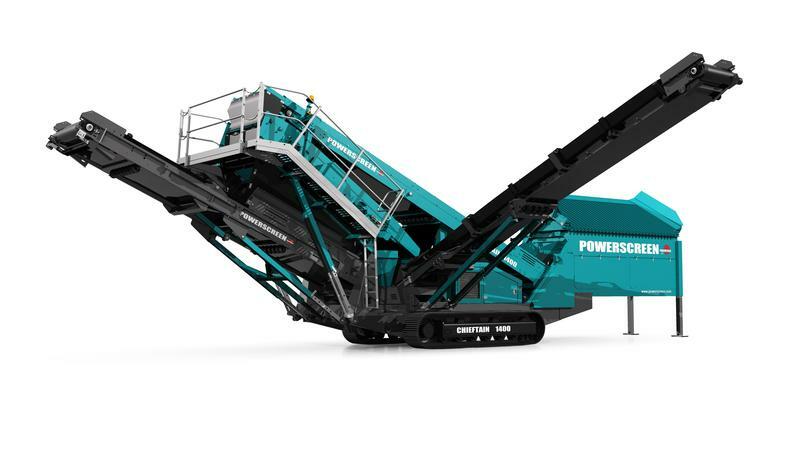 The Powerscreen Chieftain 1400 is designed specifically for small to medium sized contractors and operators, and is one of our most popular screening products. It is capable of operating in a number of applications such as gravel, sand, recycling, and aggregates. Features include screen walkways and access ladders for ease of maintenance, hydraulic folding conveyors for a quick set-up time, and a drop down tail conveyor to aid screen media changes.